The first game in each of the two WNBA semifinals series are now in the books as the visiting Washington Mystics downed the Atlanta Dream on Sunday mid- afternoon and the Seattle Storm held off a late charge by the visiting Phoenix Mercury in Sunday’s late afternoon game. 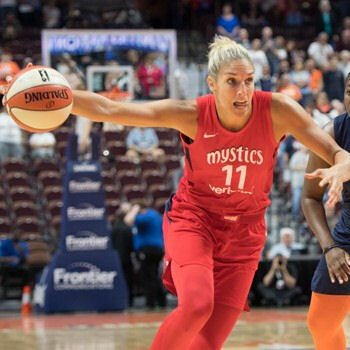 The visiting Washington Mystics used a 32 point, 13 rebound effort by forward Elena Delle Donne to take Game 1 of the first game of the best-of-five WNBA semifinal game by a score of 87-84 on Sunday afternoon in front of an announced crowd of 5,086 at Atlanta’s McCamish Pavilion on Sunday. After trading baskets to start the game, the Mystics found separation early jumping out to a 24-16 lead with 2:57 remaining in the quarter. Atlanta answered with an 8-0 run and tied the game 24-24 on a three-pointer by guard Alex Bentley. The Mystics went on a 16-6 run in the second quarter to take a 42-32 lead with 4:37 left in the half, but again, the Dream would not go away. The Dream took a 9-2 run to cut the deficit to three with 1:12 remaining in the quarter. Still, the Mystics took a 51-42 lead into the halftime break. Washington made seven of their 14 shots from beyond the arc during the first half. Washington’s lead was never in jeopardy in the third quarter, though Atlanta pulled within four when forward Monique Billings was fouled with 1.5 seconds left in the quarter on a put-back after guard Renee Montgomery missed a three-pointer. After Billings free throw, the Mystics led 70-66 going into the fourth quarter. 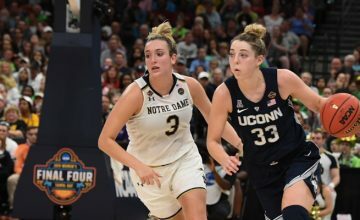 Bentley opened the scoring for the Dream with a layup just 19 seconds into play in the game’s final frame which cut the deficit to two, but this was promptly answered with a driving layup from Delle Donne. 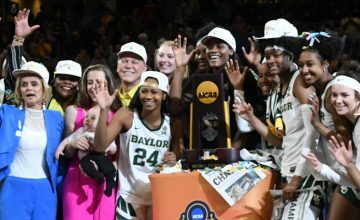 From there, it was a story of two players, Washington’s Delle Donne and Atlanta guard Tiffany Hayes, who each willed their team to win. Hayes scored 11 of her 17 points in the fourth quarter. Delle Donne matched Hayes’s performance with 11 points of her own. When the final buzzer sounded, Delle Donne’s Mystics took the first game of the series by a score of 87-84 withstanding a hard final charge by the Dream. Delle Donne finished with 32 points and 13 rebounds. Bentley led the Dream with 19 points and center Elizabeth Williams led all rebounders with 14. Washington hit all 20 of their free-throw attempts and was 11-26 from beyond the arc. Atlanta connected on 16-22 free throws and 6-21 in three-pointers. The Mystics are no stranger to competitive semifinals as they played the Minnesota Lynx in a hard fought series last season. The Dream and Mystics face off for Game 2 in the best-of-five semifinal series on Tuesday at 7 p.m. CT at McCamish Pavilion. 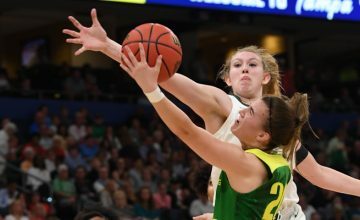 A week of rest may have made the difference for the Seattle Storm may have been a key factor in their success in their semifinal matchup against the Phoenix Mercury. The Storm fended off a late Mercury challenge and won their contest 91-87 in front of an announced crowd of 9,686 at KeyArena also on Sunday. The Phoenix Mercury played two grueling playoff games already, the first at home and the second at Connecticut in the course of a week, and then traveled to Seattle. In fact, the first half was all about perimeter shooting. In just the first 4:28 of play, both teams combined for 6-for-9 shooting from the perimeter and were 11-for-19 in three-point shots by the end of the first quarter, and a combined 18-for-35 from beyond the arc in the first half. 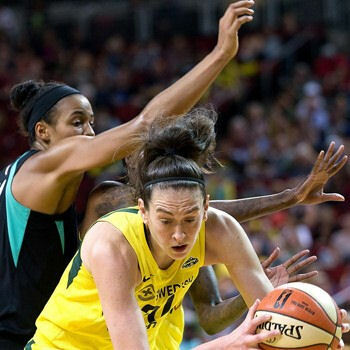 Seattle forward Breanna Stewart, who was just named the league’s most valuable player for the 2018 season, scored 19 points in the first half and finished the game with 28. Seattle led 54-50 at the half, which ended with Taurasi getting called for a technical foul. Stewart began the third quarter by hitting the free shot on Taurasi’s technical foul, and then center Natasha Howard scored seven points in the first half of the quarter, enabling the Storm to take a 70-54 lead with 4:57 left in the third. It capped off a Seattle 16-4 run in the quarter. The Mercury managed to cut the deficit to 12 points, making the score 79-67 going into the fourth. Taurasi led Phoenix on a 13-5 run since checking back in the game with 6:30 left in regulation. She hit a three-pointer and then passed to forward DeWanna Bonner who was cutting in the lane for a basket. Seattle’s Stewart missed two short jumpers near the basket on their next possession, giving the Mercury an opportunity to surge ahead. Mercury center Brittney Griner, who played most of the second half in foul trouble, missed a layup with 1:42 left on the clock, got her own rebound and the put back to tighten the score to 89-87. Storm forward Alysha Clark missed on a three-pointer with 1:17 left, but Stewart grabbed the rebound to extend the possession. Guard Jewell Loyd hit a pull up jumper with exactly one minute left to extend the Storm lead to four. That would turn out to be the game’s final score as Phoenix guard Briann January missed a three pointer, and Taurasi missed two shots in the final minute of play. The Storm was led by 28 points by Stewart, 23 from Loyd and 20 from Howard. Guard Sue Bird dished out 10 assists and Stewart led the team with seven rebounds. Seattle’s bench only contributed to four points in the effort. Phoenix was led by 27 points from Bonner, who also led all rebounders with 11, and 25 points from Taurasi. Griner, battling foul trouble, was limited to 13 points, four rebounds and five assists in the outing. need to be better.” Taurasi also discussed the third quarter lapse and how it gave the Storm an advantage. The teams combined for 23 made three-pointers on 58 attempts in the contest. The Storm host the Mercury for Game 2 on Tuesday night at 9 p.m. CT at KeyArena.